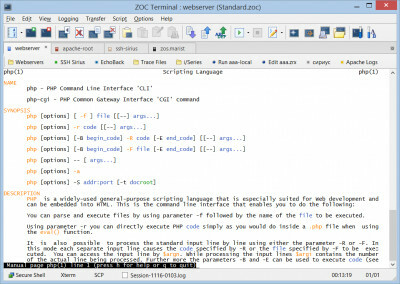 This professional terminal emulator gets you online via SSH/SSH2, Telnet, modem and serial cable. 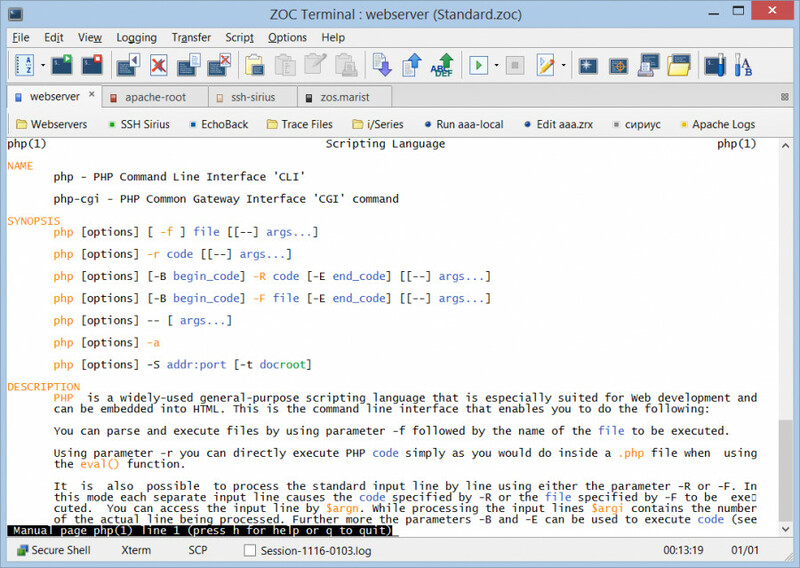 Its sleek user interface with tabbed sessions, solid Xterm, vt220, and Linux terminal emulations make ZOC the preferred tool for everyone who has to access Unix/Linux shell accounts from a Windows or Mac OS X platform. A wide range of options, fast screen output, mappable keys, powerful scripting and many other features make it an exceptional tool.